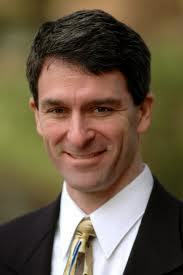 RICHMOND, Va. (Legal Newsline) - Virginia Attorney General Ken Cuccinelli issued a consumer alert Monday about a sweepstakes fraud in which scammers claim to be from Cuccinelli's office to lend the scam legitimacy. In the scam, the caller claims to be an employee of the Virginia attorney general's office. The scammer provides the office's mailing address and telephone number for Virginians to call to verify the validity of the sweepstakes notice they received. "Scammers sometimes impersonate government officials to get you to send them money," Cuccinelli said. "No government agency or legitimate sweepstakes company will contact you to ask for money. If you have to pay, there is no prize." The scam is similar to most sweepstakes scams. A mailing with a legitimate-looking check is sent to notify the individual that he or she won a large amount of money. To claim the winnings, the recipient is told to deposit the check and send back a part of the money to pay for fees, taxes and other costs. Individuals who deposit the check and send money later find out the check was not real and they must reimburse the bank for the funds. It is against the law for any promoter to lie about an affiliation with, or an endorsement by, an official government agency.